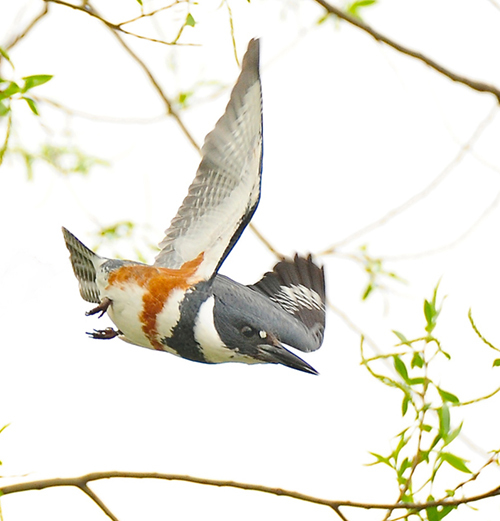 This Belted Kingfisher was changing observation points, moving from willow tree to power liine. It was making this switch about once every 15 minutes late in April. It was being seen on the east end of Long Lake in Orono. This is the second year that location has attracted a kingfisher. 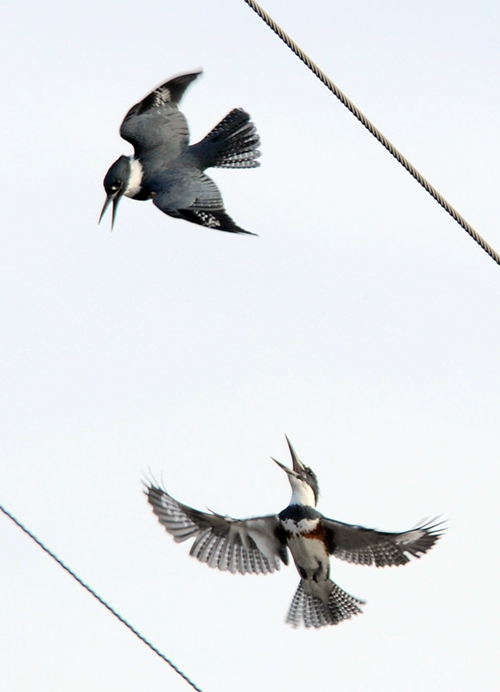 Last spring, the male on site picked a fight with another male, probably because this was mating territory.